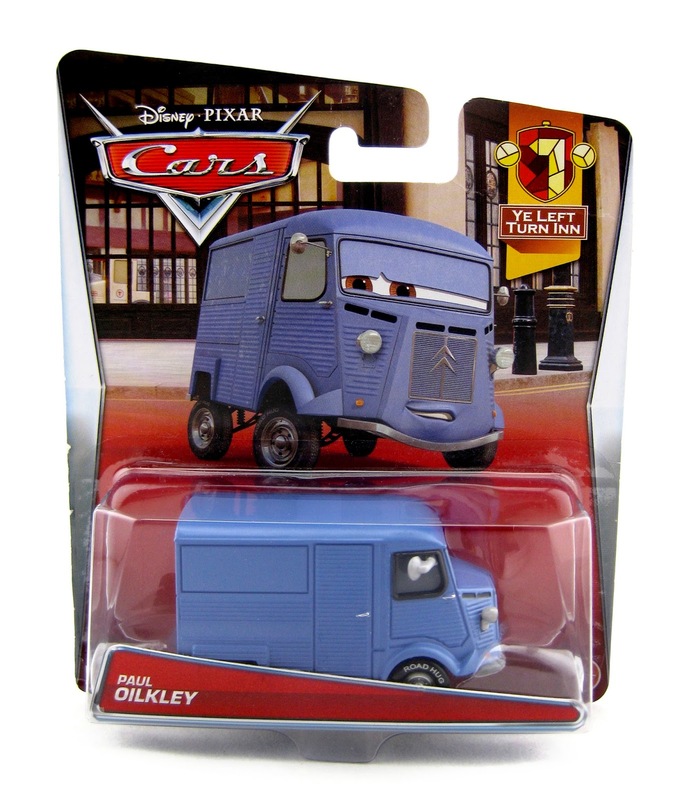 From Cars 2, here we have the newly released Mattel 1:55 scale diecast of Paul Oilkley! He is part of the 2015 "Ye Left Turn Inn" sub-series (#4/7). As shown in the screen shot above, Paul is briefly seen in the London pub [Ye Left Turn Inn] when Acer and Grem crash through. I had been looking for this one for a month or two without any luck; so I was thrilled to have found him finally in one of the gift shops on board our Disney Fantasy cruise last week! That was unexpected. If you're having trouble finding Paul in stores, be sure to check out Amazon using the link below or view current eBay listings HERE. As usual, best of luck on the hunt!